From Brazilian waxes, brows and backs, to Hollywood waxes and half legs, at our Nottingham and Leicester city centre waxing salons we’ve seen and done it all. nkd ( ) provides high-quality waxing treatments to men & women in a professional & clean environment. Our specialist skills mean that your nkd wax will be quicker, cause you less discomfort and give you better results than a wax from a generalist beauty salon, which tend to be jacks of all trades and masters of none. We also offer the latest lash & brow treatments from our in-house lash & brow bar with the same level of specialist skill and advice. Brazilians, Hollywoods, Las Vegas’s – you name it, we wax it. 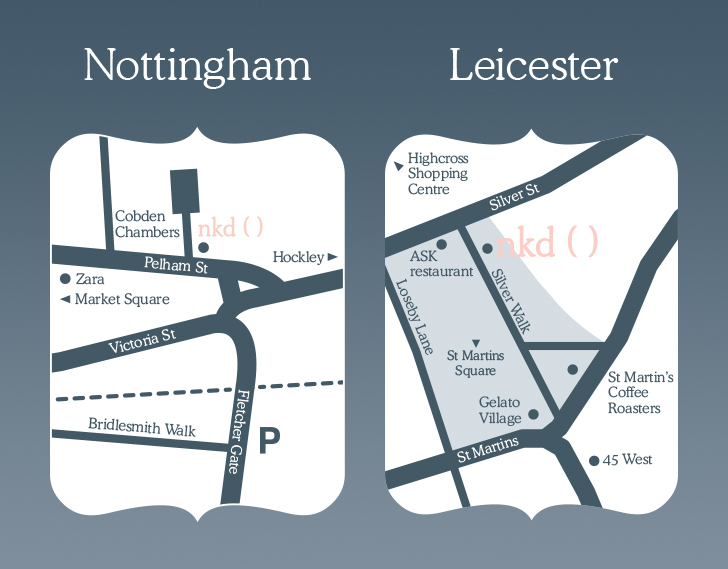 Even if it doesn’t have a name, nkd Nottingham and nkd Leicester, which are the cities’ only dedicated waxing salons, can wax it for you. 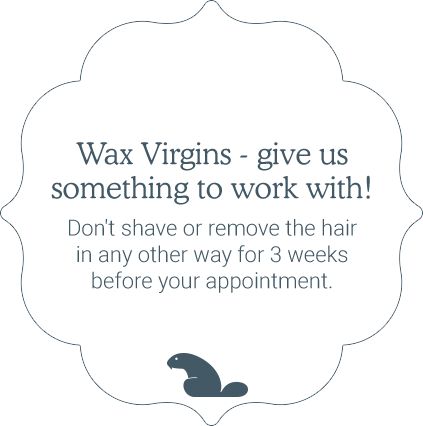 We wax half legs, full legs, underarms, over arms, eyebrows, straight bikini with your knickers on, or absolutely everything off. And we mean everything. Our in-house lash and brow bar offers all of the latest lash & brow treatments available on the market today, including HD Brows, LVL Lashes, eyebrow threading and lash & brow tinting. nkd is proud to specialise in the delicate art of male waxing. Whether it’s your back, your back, sack & crack, or simply your brows you need waxing, you should call nkd first. As the only salon in Leicester and Nottingham with such a comprehensive male waxing treatment menu, you’ll soon realise that we’re also the best. My wax with Hannah was much more thorough and less painful than previous waxing treatments I've had in the past at other beauty salons. Amy is an expert at lashes - she makes me look fabulous. Amy was very good making my eyelash extensions look age appropriate. Well done! I'm already looking forward to my next visit! My treatment makes me feel much better in myself. Thanks! I was made to feel very welcome on my first visit to nkd. I was thrilled with my eyelash extensions and have had lots of compliments. Great service. Friendly staff. Highly recommend the salon for waxing and lashes. I had a great experience for my first time wax. The consultation was thorough and I felt comfortable to ask any questions I had. Amy was great and very genuinely friendly. She chatted with me the whole time so I was surprised when the treatment had finished as it flew by! Amy makes me feel very relaxed. Thank you. My last wax was with Amy. My waxes at nkd couldn't really get better, unless I was waxed by a naked bradley cooper. That would be better. Amy actually asked me what shape I wanted for my brows and she got the shape really well by working with my eyebrows' natural shape. Amy was lovely, friendly but also professional and knew all about the treatment/aftercare. Amy is a great! Makes you feel very comfortable, always chatty and friendly. Good waxing technique and always pleased with the results. I always get a great service from Jen. Its very relaxed, we have a chuckle. I will never see another therapist! Jenny is excellent! I always recommend Jenny to friends & family. Jenny delivers the perfect male intimate wax, every time. It is impossible to improve on perfection! 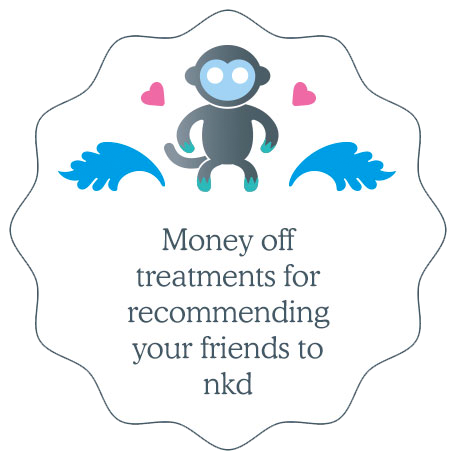 I recently had my best treatment at NKD yet with Amalie!! Amalie made me feel very at ease throughout the treatment. I would definitely chose the same therapist next time I visit. We use only Perron Rigot wax from Paris, which is the finest depilatory wax available on the global market today. nkd is proud to be the flagship salon in the UK for Perron Rigot waxes. 2018: Finalist: “Employer of the Year"
2017: Finalist: “Employer of the Year"
2015: Runner-up: "Entrepreneur of the Year"